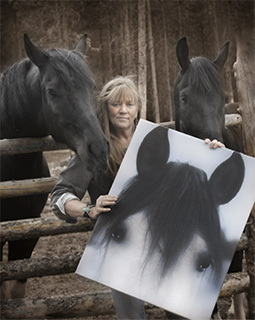 Horses, Nature & Art have been my loves since my earliest memories. Throw a bit of learning my TRUTH into the mix and I left corporate America to return to my loves, live my TRUTH and become a full-time artist. Bringing BEAUTY to your home and the world is my passion. Each piece has a story to share along with insights and wisdom. They are pictorial LOVE songs. BEAUTY touches our hearts while lifting our spirits.